Dr. Scott Shamblott is often called the ‘no fear’ dentist thanks to his kind, caring approach to patients with dental phobias and anxiety. At Shamblott Family Dentistry, Dr. Shamblott and the staff take your dental fear and anxiety seriously. We offer dental-phobic patients a no-shame atmosphere and kind, attentive treatment to help you relax and get the dental treatment you need. 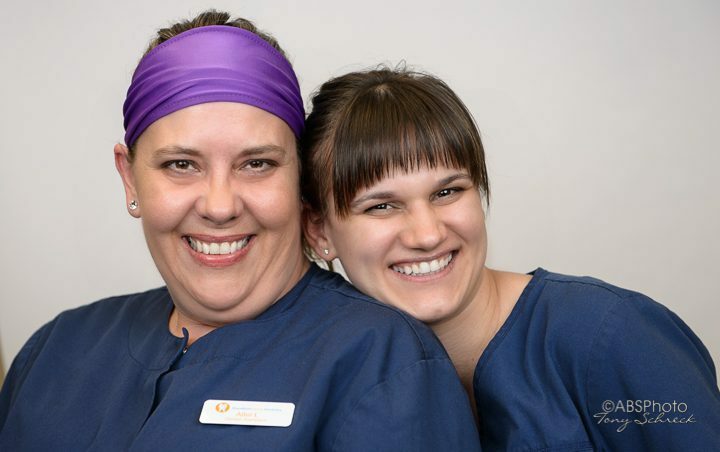 Learn more about our process for working with dental fear patients and the services we offer to make your dental visit comfortable. Dental fear is a very common fear that leads individuals to avoid the dentist. Dental fear most commonly comes from unpleasant past experiences, or from horror stories that have been passed down from one person to another. Some of the common dental fears include: fear of needles or the injection, fear of the anesthetic not working, or the fear of becoming numb or dizzy. Often times the feeling of helplessness when lying in the chair and not knowing what’s happening can cause fear as well. One common misconception is that all dental procedures are painful. Are you fearful of going to the dentist? Here are some tips to try! Try to distract yourself while in the chair. Surveys of patients suggest that most people anticipate dental procedures to be worse than they actually are. Take charge of your dental fear and tackle it head on! If you suffer from dental phobias, you’re not alone. It’s estimated that approximately 30 to 50 percent of adults are afraid to go to the dentist. We understand your fears and take special steps to help you feel comfortable and relaxed throughout your appointment. Sometimes it helps if you know what to expect during your dental appointment. Here is a summary of our personal, caring approach and services just for dental phobic patients. Talk to the receptionist by phone, and get a feel for the kind and caring nature of our office. Complete forms online and at home, so you spend less time sitting in the office waiting room. Bring music, or read a book or one of our magazines to keep entertained and distracted while in the waiting room. Once you arrive at Shamblott Family Dentistry, you’re greeted by our smiling and friendly receptionist. Relax in the lobby with your personal entertainment. An assistant will greet you and show you to “your” personal treatment room. You’ll then review and sign your Health History form with the assistant. Discuss your needs, wants and feelings with the assistant. The assistant will then work with you to take X-rays as needed. All of our X-rays are digital, which speeds processing and allows immediate viewing. Digital X-rays are also incredibly safe, using much less radiation than traditional dental X-rays. The dental assistant will also take some photographs of your teeth. After the X-rays and photographs, the dentist greets you. The dentist spends time with you, discussing your needs, wants and feelings. This helps our dentists understand what they can do to make you as comfortable as possible. The dentist will do everything possible to make the appointment easier for you. The dentist examines your mouth, X-rays, and photographs, and makes treatment recommendations. You’ll meet with the Treatment Coordinator in a private consultation room at the end of the appointment for a sedation consultation and to review the treatment plan and financing options. Next, sedation or non-sedation (anesthesia gas) visits are scheduled. Non-sedation visits include the use of video glasses to watch DVDs during appointments. You’ll sign consent forms for future sedation work. Patients leave smiling and confident, with a new toothbrush and toothpaste. Sedation dentistry with a certified registered nurse-anesthetist, also called ‘sleep dentistry’, offers patients with dental phobias a way to completely relax during their dental treatment. You can catch up on years of dental neglect in as little as one or two visits, depending on the treatment needed. You won’t notice or remember a thing about your dental visit. It’s as if you ‘sleep’ through the entire treatment. Another option is anesthesia gas. This non-sedation option helps you relax and feel comfortable during your treatment. Shamblott Family Dentistry offers a money-saving coupon for FREE anesthesia gas at your next appointment. If you’ve put off years of dental visits or much-needed treatment because you’re afraid of going to the dentist, we urge you to call Shamblott Family Dentistry today. Dr. Shamblott and his staff understand your fears and there’s no shame in dental phobia. We want you to feel relaxed, comfortable and confident during your appointment, and we’ll work with you every step of the way to make sure your visit is pleasant. 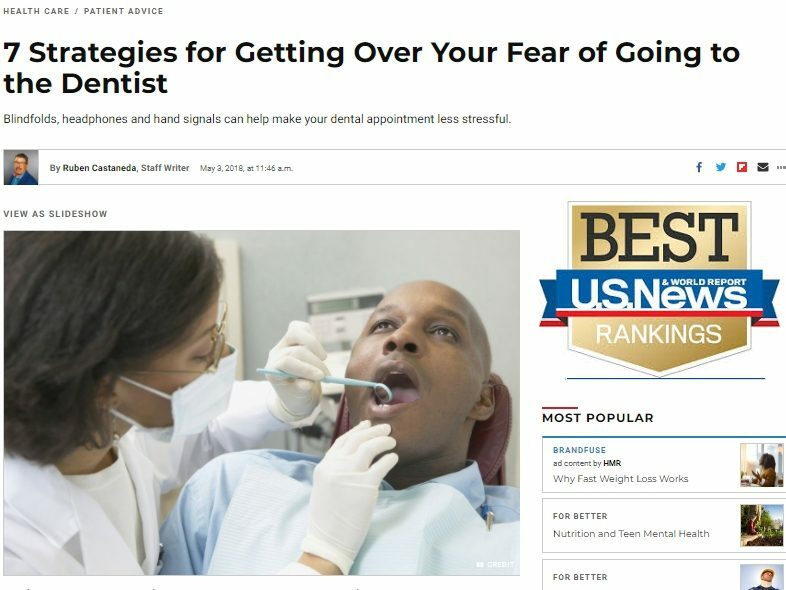 Don’t let fear keep you from the dental care you need. Call us at: (952) 935-5599 for an appointment today.